The federal government on Wednesday faulted the allegation by the Academic Staff Union of Polytechnics (ASUP) that it has neglected polytechnic education in the country, saying vocational and technical education remain the corner stone of the ongoing transformation in the education sector. 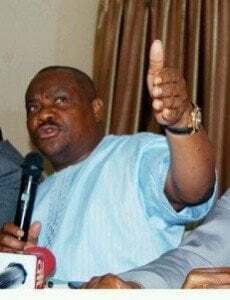 The Supervising Minister of Education, Barr Nyesom Wike, while reacting to the claims of abandonment by the ASUP President, Dr Chibuzor Asomugha, said government had been discussing with the leadership of the union on how to resolve its protracted strike. According to Wike, “only on Monday this week, I was joined by the Minister of Labour and Productivity, Chief Emeka Wogu to engage ASUP in a fruitful discussion,” explaining that only one issue, which is the release of the White Paper on Visitation Panels was yet to be trashed out. In a statement signed by his special assistant on media, Mr. Simeon Nwakaudu, the minister said it was not true that government had abandoned the striking lecturers or the polytechnic education as alleged by Asomugha. It would be recalled that ASUP had embarked on strike on April 17, 2013, after several warning strikes for the government to properly fund polytechnic education as well as address the disparity between the polytechnics and university graduates in the country. National President of ASUP, Dr Asomugha, had, in an interview, lamented that government was killing polytechnic education in Nigeria as several meetings held with government to ensure re-opening of polytechnics yielded no fruits. The ASUP boss argued that the lack of interest by government to implement its promises for polytechnics to be re-opened was a deliberate ploy to deny students of polytechnic a access to education. But the minister on his part recalled concerted efforts made by the government to resolve the impasse for the polytechnics to be re-opened for academic programmes in view of the importance federal government attached to the sector. The minister stated that “just before the Christmas in December, 2013, he met with committee of pro-chancellors of federal polytechnics with the chairman of the committee, Chief Ebenezer Babatope, in attendance on how to end the strike. He said that contrary to insinuations by the union, the federal government held the polytechnic staff in high esteem, hence the setting up of the Needs assessment to determine the level of decay in the schools and how much would be needed by the federal government to revive the institutions. The minster also noted that the federal government had started the process of paying the N20.8billion arrears owed polytechnic staff, pointing out that the funds would be released as soon as the procedures were concluded.